As hard as this is for me to admit, I’ve been having some struggles in my life lately. Writing has always been a form of therapy for me so in the midst of this crisis I decided to write. The result is here, raw and unedited. If my confession encourages even one person to open up to a friend about their own experiences, I will deem it a success. I struggled with deciding to write this. I don’t know if I’ll ever publish it, I don’t even know where would be an appropriate place to post it, but the more I think about it the more I think I need to put these words down. I’m suffering from anxiety. 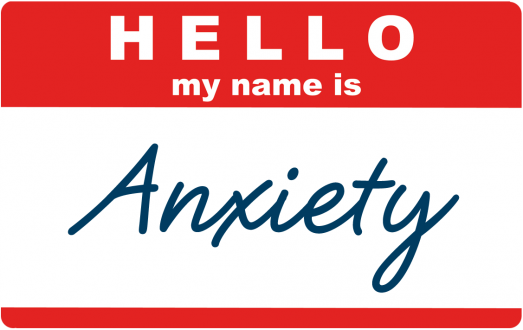 I’ve always struggled with anxiety issues, particularly in social situations, and I’ve been prone to stress my entire life. This is the first time I can honestly say I’m suffering. It’s been almost 2 months now and I never dreamed it would affect me for this long. It started with a brutally unexpected anxiety attack that had me stuck in my car outside my apartment unable to go into my own home because I was paralyzed by this overwhelming terror. The attacks are becoming less frequent and infinitely more manageable, but I still feel like I have a long road ahead of me. If you’ve never suffered from these attacks before, let me give you an idea of how they feel. The way I describe it is like an elephant sitting on my chest. It’s hard to breathe, there’s a lump in my throat that never seems to go away. The elephant is always there at the moment, just in varying degrees. When I feel myself escalating it usually starts with my hands trembling. My body goes cold, my heart starts racing and suddenly the simplest of tasks is overwhelmingly daunting. I cry. A lot. I try not to cry because I know I won’t stop if I do, but often there’s just no controlling it. Coming out of these moments is tough but I have an amazing support system around me, telling me to breathe, that it will pass, reminding me I’ve been here before and have always come out on the other side. That’s the key, to have people in my life who will just be there with me, jump into the hole with me so I’m not alone, but not feel a need to fetch a ladder to get me out. There is no rhyme or reason to why these attacks hit, there’s nothing I have to be anxious about. A friend asked me recently if there was a trigger, if there was something I was sad or upset about. And the hardest part is, there isn’t. Those who know me know that I have trouble relinquishing control and that’s why these struggles are so hard. The control I have over my life, my attitude, my emotions, has been stolen from me. My life is amazing. I love my job, I love my friends, I am happy. I have nothing to be anxious about, no reason to want to hermit in my warm, cozy apartment and close myself off from the world, but that’s all I want to do. That’s when the blueness hits. I am loath to call it depression. It’s not clinical. But I become down on myself out of frustration. I feel like I’m a burden on the people around me. My friends come to me with problems and I freak out and spiral back into that hole because I either can’t help them or I feel bad for them. Who would want to be around that?! And yet they stick with me. I’m so incredibly lucky. Yesterday felt like a breakthrough for me. One of my closest friends was having some struggles herself, she was sad and frustrated. I talked her through it, I sympathized, I even spoke up to the person who had angered her. I did all that without feeling myself spiraling and that was huge for me. Above anything else throughout this I felt like I’d lost my ability to be there for the people I love and that has always been something I pride myself on. I still have a long way to go. Every so often, without warning, that elephant starts to feel heavier, my heart starts pounding…I liken it to that awful feeling where you know you’re supposed to have done something and you can’t remember for the life of you what that is! But I’m definitely getting longer periods of relief between the attacks and that’s a win in my book. A few of my friends are suffering with these kinds of issues and are finding that medication helps. A few people have suggested it to me, but I’m not there yet. I am starting to feel better, I am. I’ve had setbacks recently, sure, but it’s taking a shorter amount of time to bring myself round from those. I know my life is being impacted by this but I’m managing it. If I ever feel like I’m not, maybe I’ll pursue other options, but the support system I have is working for me right now so I’ll stick with that. Most people who know me don’t know this is happening. The people who need to know, know. People I work with, people who are in my life on a daily basis. I can’t hide it from them when I’m struggling and I’ve realized I shouldn’t, it’s not healthy. But I feel like other people in my life could be surprised by this because I tend to “fake it till I make it”. That’s not the only reason I’ve been hiding this. I honestly felt like there would be judgment if I spoke up, like this makes me vulnerable, or even a lesser person. I’ve always tried to be the strong one and that’s not an option now. My body is telling me it’s in distress and I need to listen to it. I’ve asked for help, for patience, for support. It’s a hard thing for me to do but it’s the only thing that’s getting me through this. I’m still not going to publicize my struggles to the world on a daily basis, I don’t want sympathy, in fact at the darkest of times that’s the worst thing anyone can offer. Try to hug me when I’m in the throes of an attack and I’m likely to deck you! Writing this down was something I felt would help, and it actually has. If I do decide to publish this, I hope I can help even one person come to terms with what they’re feeling. Most importantly, that you’re not going crazy, because god knows I’ve had those thoughts. And this also serves as a huge thank you, a thank you to the people in my life who jump in the hole without even questioning it, who don’t harass me to find the “root of the problem so it can be fixed”, because honestly, there isn’t one. It just is what it is and all I need sometimes is for someone to sit next to me, figuratively or literally, and ride it out. Stacey- good for you for opening up about your struggles and for getting help. There is such a terrible stigma surrounding issues such as these, and each person that speaks out about them helps break down that stigma and give a voice for those who feel they can’t speak up. I also struggled with depression and anxiety in the past, and I am now on my way to becoming a licensed professional counselor. Thank you so much for your kind words. And kudos to you for using your own experiences to help others. Stacey, I love you. I hadn’t seen your post in January so I’m just reading this for the first time. I suffer from depression and anxiety and, like you, i denied it and hid it for many years. Then, 16 years ago, before my open heart surgery, I really went into a spiral and finally talked to my doctor about it (my new doctor, but that’s a whole other story!). At times I thought I was going crazy, and at times it was a real struggle just to leave the house. I was diagnosed with depression, anxiety and OCD. At first I was so reluctant to tell anyone – as you said, there’s such a stigma. But then I slowly started telling people. Some were in the “What do you have to be sad about?” camp, while other, although surprised, were supportive . . . and the more I talked the better I felt. Now I can even make jokes about my OCD! My medication made a huge difference. By the end of the first month I felt like walls I hadn’t even been aware were pressing in on me had moved backed, and everything was looking brighter and clearer. Thank you for having the courage to share your story so publicly. And any time you want to talk, I’m here. Thank you Deb. I’m so encouraged by the people commenting on this and sharing their own experiences, it’s exactly what I hoped to achieve. It’s so nice to see people realizing that the stigmas attached are generally of our own design and there are so many people out there who share our feelings. Love you too. Have been struggling with anxiety for years. The worst part is having a panic attack in your roommate’s car who doesn’t know. I tend to fake it until I make it too. Especially around people I’m not comfortable telling. There is a sigma about this issue, which is why I tend to not tell people. Great post. And thanks for writing your story. It’s nice to hear other’s stories and struggles with this. Thanks for reading Rachel. Good luck with your own struggles.